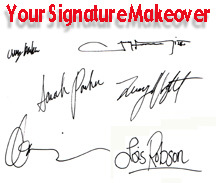 Isn't it time your signature represents who you really are? Now, all you ever wanted to know about creating a perfect autograph is right here...you can not only change your signature, but change your life in the process. Presenting, the first ever "Signature Makeover" Package based on proven psychological & graphotherapy techniques that will give you the "edge." If you sign your name more than once a year... you need this program. If you have ever wondered what your signature is telling the world... now is your chance to discover what everyone else already knows. In fact, most people pick up on "trouble traits" at the unconscious level, and never even articulate it. So, you might have been showing the world your insecurities, fears, and defenses... just by signing your name. You know, of all the questions I've heard over the years - and I've been doing this for over 20 years - the most common question is, "What about my signature? How should I sign my name?" Actually, your signature is an important part of your personality. It is a badge to the world and you are making a statement, but do you know what that statement is? Now, naturally, it's not your whole personality, and that's why we have entire courses on understanding personality through handwriting and changing your handwriting through graphotherapy. But, each time sign your name, you are telling the world something special about your personality and "locking in" certain good and bad personality traits. And you could be telling them something detrimental; you could have glaring Hell Traits, or trouble traits...you could be showing people you have a fear of success, you could even be showing them that you have a low self-esteem, or something even worse. But, you don't need to do that. This short course, where I spend two hours with my good friend, and Australia's number one handwriting expert, Malcolm McLeod, teaches you how to change your signature, how to make-over your signature, so that it's the best it can be. And it's not just the best it can be so that you can impress other people in case they've taken the course...changing your signature will actually affect your leadership skills, your self-esteem, your ability to make more money, and your ability to have better relationships. 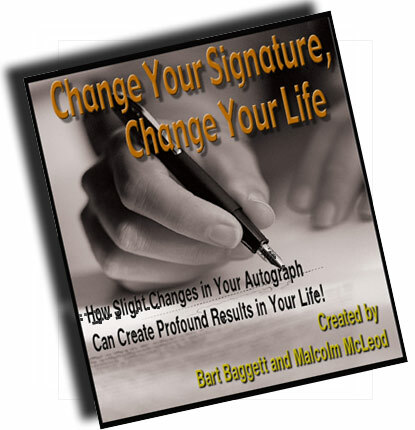 So, it's all there in this new, quick course, "Change Your Signature, Change Your Life." 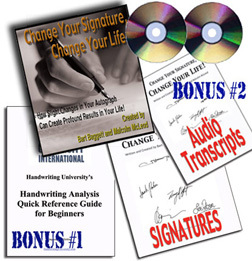 What's more, I've added a couple of great bonuses, to help you understand handwriting analysis even better. 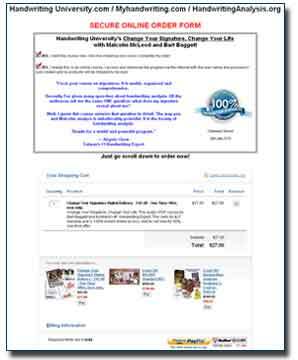 Just scroll down and click on the 'buy' button, and you could be listening to and reading this program within minutes of purchase. Using this "Signature Makeover" course, you can abandon self-defeating personality traits forever. Not only will this course show you what to change in your signature, it will help you change the behavior in yourself. It isn't just a cosmetic makeover to make your signature more legible, more attractive, more trustworthy, and more powerful... it is the first BIG step in changing yourself to remove self-sabatoging habits and program success traits. "I love your course on signatures. It is useful, organized and comprehensive. Recently I've given many speeches about handwriting analysis. All the audiences ask me the same ONE question: what does my signature reveal about me? Well, I guess this course answers that question in detail. The way you and Malcolm analyze is unbelievably powerful. It is the beauty of handwriting analysis. Thanks for a useful and powerful program." Since writing the best selling book "Success Secrets of the Rich & Happy", I've seen thousands of signatures from all income levels in dozens of countries. There is a pattern among the rich, stable, and happy. Should you underline your signature? What does it mean if you just scribble your name? What is the meaning of a last name being crossed out? Should you have periods (full stops) inside your signature? Should your name slant uphill? Is it okay to change your signature, legally? Is using your initials okay for a signature? Does an illegible signature tell people you can't be trusted? What are the top three things you should never do in an autograph? Recently, two of the world's most respected Handwriting Experts put their heads together to bring you an entirely new twist on your signature. They locked themselves inside a Hollywood recording studio until every possible angle was discussed on the topic of how someone could change their life by changing their handwriting. This two-hour session was more than a discussion on personality or handwriting analysis. It was more than Graphotherapy as a self-help tool. It was a discussion that brought two countries and two philosophies together, to create a profound system for personal improvement through changes in your autograph. 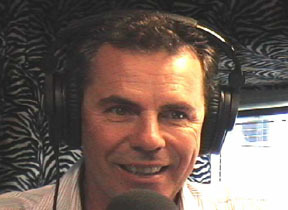 Malcolm McLeod is Australia's #1 Handwriting Expert, as featured on all the top Australian TV shows, and speaks professionally worldwide as a highly paid corporate trainer. He is known throughout Australia and Asia as "The Handwriting Guy," and even hosts a top-rated TV show called "The Profilers." Bart Baggett is America's #1 Handwriting Expert, as featured on CNN and CNBC, as well as 1500 other shows. His books are available in 17 countries, including Australia, India, and China. He is the president of Handwriting University.com and author of Success Secrets of the Rich and Happy. These two men have combined talents to create a simple, easy-to-follow system for changing your life through your autograph. "I've always wanted to have a "Super Star" signature, but was afraid it meant I was egotistical. Now, I have the signature I've always wanted and I'm SURE all the traits are positive, not negative. I'm proud to sign my name! " Yes, I want to order the entire online course now and pay the discounted ALL-ONLINE price of just $37. Save $10 from the retail of $47. Yes, I want to order the offline course and please ship me the 2 CDs and printed bonuses for just $127 plus shipping and handling. I'm among one of the many, many people who thinks, "What is my signature telling the world?" Then this course comes along and opens my eyes to what my signature is showing the world about me! In this email age where we type more than we handwrite, our signature is one of the things we still do on a regular basis and it's so much a part of our personalities. I've been curious as to whether my signature radiates negative or positive traits and does it undermine my ability to achieve success? You can imagine the thrill I experienced at finally having this product in my hands to answer my doubts! Now not only do I possess the knowledge of what NOT to do with my signature, but also know exactly what I can do to bring positive changes to my signature and my life! Right in the middle of listening to the world's 2 top handwriting experts (Bart and Malcolm) pouring out the secrets to a successful "signature makeover," I couldn't help it but began adopting the changes that they recommend instantly as I signed off my new signature over and over again on pieces of paper! Now, I'm on my way to signing off with an improved, enhanced and more authentic signature that reflects the real me! 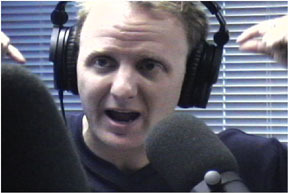 And I can easily picture others listening to the program doing precisely the same thing as I did! ©2014 by HandwritingUniversity.com All Rights Reserved.